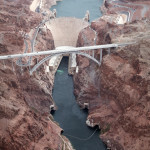 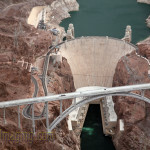 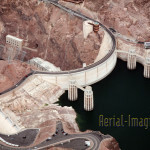 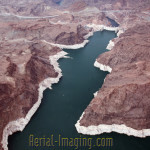 My aerial shots of Hoover Dam in summer 2014. 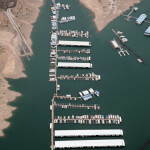 You can see the lowest levels ever for Lake Mead as the 14-year drought plagues us in the west. 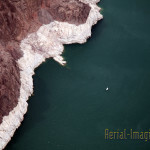 In these aerial shots you can see white “bathtub ring” of mineral deposits encircles Lake Mead, evidence of water levels that are dropping at a rate of 1½ to 2 feet per month. 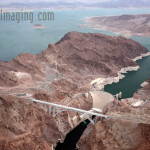 The water mark is now 130 ft lower than its peak in 2000. 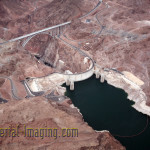 According to recent statistics, the reservoir is currently 39% full. 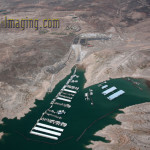 More than 40 million people rely on Lake Mead for water.